HTC brings its Budget Smartphone, which is equipped with octa-core chipset and 1GB RAM and the phone runs on Android KitKat 4.4 . The 526G+ is Dual SIM Phone which comes in two variants, one with 8 GB of internal memory and another higher priced 16 GB one andcan be expanded upto 32 GB via MicroSD Card. Specifications of both smartphones are same. 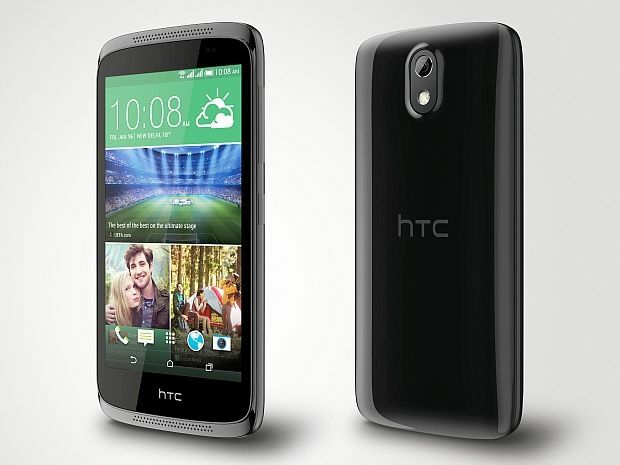 HTC 526 G+ equipped with 8 MP back camera with an LED flash and 2 MP camera on front side. The smartphone supports all usual connectivity options like Dual SIM 3G, Wi-Fi and Bluetooth etc. HTC 526G+ have pebble-shaped form factor which looks attractive and 154 grams in weighs. Smartphone includes 2000 mAh battery. Both varients are listed on Snapdeal, The 8 GB version of the handset will retail for Rs 10,400 while the 16 GB variant at Rs 11,400. Samsung introduces it’s first Tizen OS powered Phone in India.